1. Change up the tools, toys or activities that you are doing. It may be just as simple as approaching the skill using a different tool or material. 2. Change the environment. Perhaps trying accomplishing the skill outdoors, in a quiet room or with a peer. 3. Be positive. If you assure the student that they have the ability to accomplish the goal you will provide them with the ability to believe in themselves. The power of positive feelings can go a long way. 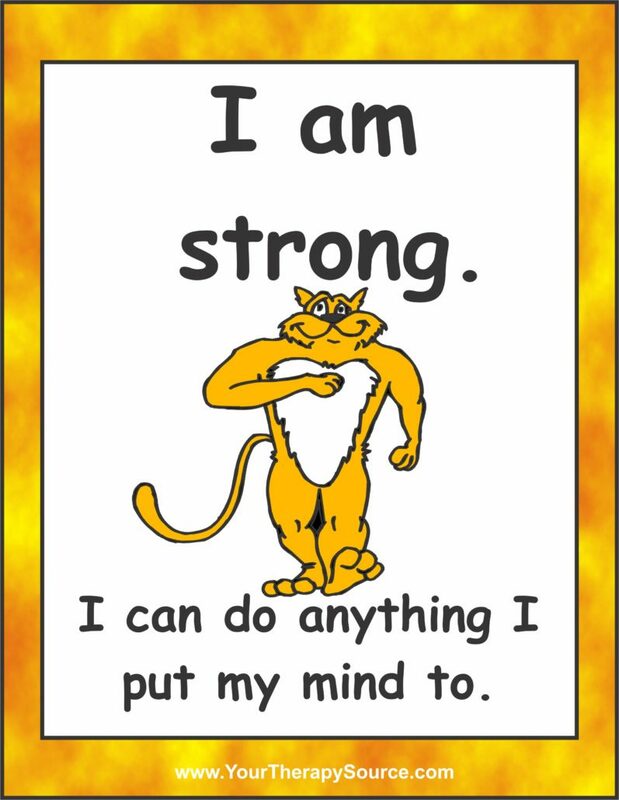 Check out Positive Affirmation Posters and Cards to provide your students with a visual reminder. 4. Change your teaching style. If you are only providing verbal directions, perhaps offer a demonstration or a visual picture of what the student needs to accomplish. If you are always offering verbal feedback, perhaps try diminishing how often you provide feedback to see if that makes a difference. Encourage students to track their own progress with My Goal Tracker. 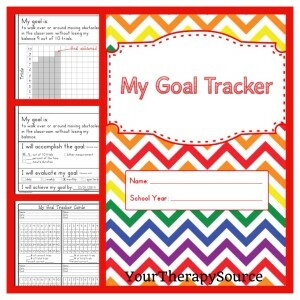 Title: My Goal Tracker: This is an electronic book of data collection forms for students to track their own progress. 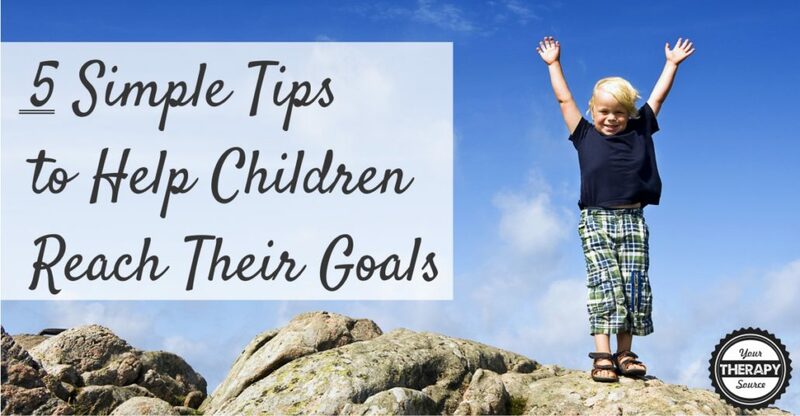 The student can track his/her goals over time, by monitoring the skills over the course of a day, week, month or quarter. This allows the student to get a visual picture of improvement, decline or maintenance of different skills. Included in this download is the following: samples of completed forms, goals setting worksheet, improvement ideas worksheet, goal tracking cards (for trials or percentage) and graphs to complete for daily, weekly, monthly or quarterly progress (number of trials out of 10, percentage or minutes). There is also one blank form for you to label if you are monitoring goals in a different manner. 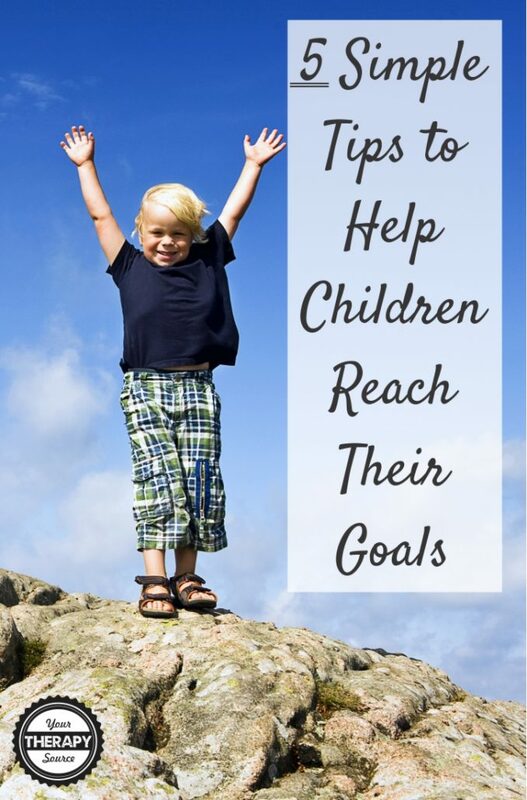 Complete the goal worksheet, print the necessary forms and place in a binder. The student can then graph his/her progress accordingly. By having the students track their own goals they will take ownership of their progress. It doesn’t get any easier than this to track progress. Find out more. Right or Left Hand Poster Color Cut Glue Shark Freebie – Just in Time for Shark Week!